Real Estate is something people don't search every day, but when they do, Realtors naturally want to be visible in those search results to attract potential business. This is why Realtors blog. But what topics should they cover in order to attract those searches that potential home buyers or home sellers do on Google, Bing and Yahoo? Put yourself in the places of a potential customers. What would you search in Google, if you are thinking to buy a house in a particular city or getting ready to sell your house or a property? This approach will help Realtors to come up with topics and keyphrases, which they need to use in their blogs. This way of thinking will help you to come up with topics that are currently trending in real estate. Publish stories discussing current mortgage rates, home loans, things that interest buyers and sellers. Many people probably go online and check "today's mortgage rates," or "current mortgage rates" in their city or state before considering to buy a house in their preferred location. Imagine if they search that and there comes your story about daily mortgage rates in your city or state published in your blog or in a relevant online news magazine, such as this one: Huliq.com. They read your story and as the story has your contact information it is expected that they may pic up the phone and call you or text you with a question. Other relevant thing speople search are such as "will the mortgage rates go up? ", "will the mortgage rates go down? ", "what happens if I don't pay my mortgage on time?" and other similar concerns. Do stories in your blog or in a local relevant newspaper that will share tips about the best practices from your industry. Since each story has your name and your contact information, this helps the readers, your potential clients, your colleagues and the search engines like Google to see you as an authority in the field. As your authority level rises and Google, for example, sees your name and your site as a trusted authority, your rankings are likely to go up in search engine results for relevant real estate searches. Also you can go to Google News and search real estate, mortgage or make relevant searches and see what news stories come up and write an expert opinion story on them. If your blog or the news magazine in which your guest blog, is indexed by Google News, it is likely that your expert opinion also will appear in the same place as Google News provides same topics in clusters. Real Estate searches grow year by year. 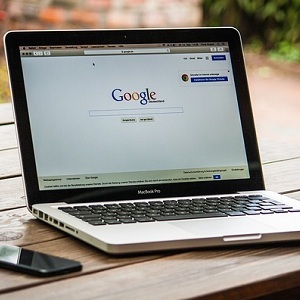 Real estate-related searches on Google.com have grown 253 percent over the past four years, according to a joint study from the National Association of REALTORS® and Google, which was published in January 2013. As your potential clients are searching online only those Realtors, who blog regularly and provide quality information, will likely to be more visible in the eyes of potential home buyers and sellers who look for your services online. Love this articles. I am an active realtor and few articles are worth it to read. Feel free to send us some great stories Teresa. Many thanks.